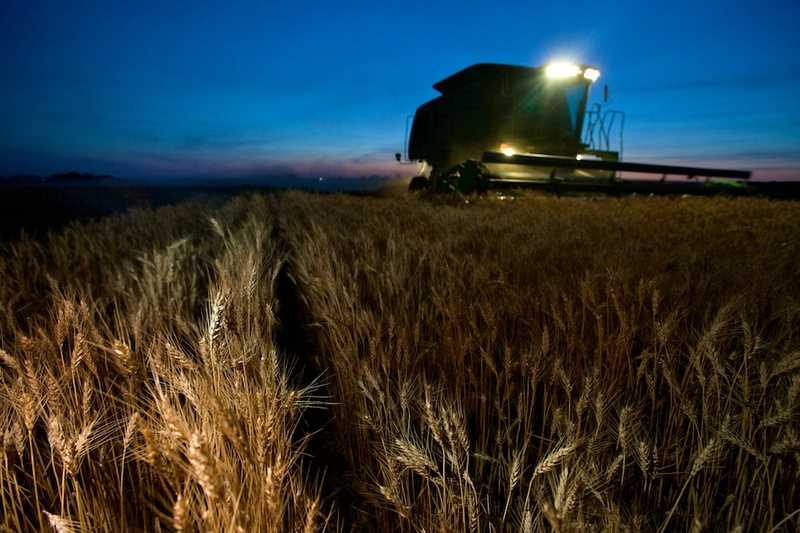 Somewhere in the Middle of America – Wheat Harvest. A combine harvests wheat shortly after sunset just west of town on an early summer evening. Agriculture is still a mainstay of life in Red Cloud, though the size of the farms and cost of production have grown drastically, making small family farms a thing of the past.